The primary function of a charbroiler is to cook a variety of foods, particularly meats, fish and seafood, at consistent temperatures. One of the primary benefits of commercial charbroilers is in food presentation. Broilers give food the appearance and flavor of having been cooked on an outdoor backyard barbecue. For the commercial kitchen they offer a high production level with a shorter recovery time. A basic restaurant charbroiler looks like a firebox with a steel or cast-iron top grate on which the food cooks. Some charbroilers transfer heat via metal radiants made of stainless steel alloy or cast iron, while others use lava rock. While shopping for a restaurant quality charbroiler, you may ask yourself – what is the difference between radiant and lava rock? The main difference is the way in which the heat is transferred to the food. On a radiant chargrill the burner is positioned under a cast metal radiant from which the heat is radiated towards the food being grilled. Sub-radiant heating offered with some broiler units reduces gas use and grease fires, while improving the evenness of top grid temperatures. The result is that grease is instead sent down into a trough or tray where it is held until emptied, while some of the drippings from the meat will actually “burn” and provide that chargrill aroma we are all so familiar with. Lava Rock Charbroilers use a bed of lava rock positioned above the burners to catch and radiate the heat towards the meat above. The porous lava rock catches and holds the drippings which when heated create that delicious aroma associated with grilling food. Products cooked over crushed lava rock can accumulate large amounts of carbon and grease. Manufacturers recommend replacing elements twice a year. Both types of charbroilers improve the flavor and presentation of your dishes. Ready to shop? 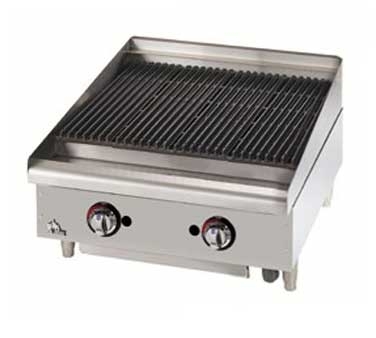 Burkett Restaurant Equipment offers a wide selection of charbroilers from the leading manufacturers. Take a look at our website or call a sales representative today! The show Kitchen Nightmares has made me hyper-aware of the risks of dirty ice machines. Ice machines are considered food equipment and must be maintained and cleaned to promote healthy, sanitary conditions. 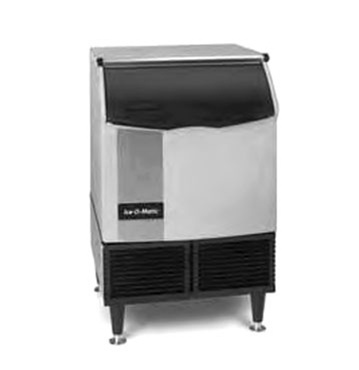 Proper maintenance and cleaning of your ice machine increases performance and reduces the need for repairs. If you’re not cleaning your ice machine regularly, you’re allowing it to accumulate mold and slime that reduces the function of your ice machine and, more importantly, the health and safety of your ice. Mix a solution of water and descaler together following the recommendations from the bottle (Usually 5-6 ounces per gallon). Use a spray bottle to apply this cleaner to the inside of the bin. Remove the baffle from the inside of the bin by removing the thumbscrews first. Using a nylon brush, scrub the interior in its entirety as well as the baffle. Soak your scoop until all of the scale deposits are removed. Flush the bin, baffle and scoop thoroughly with fresh water ensuring all traces of the descaler has been removed. After cleaning the interior the unit should be sanitized. This is done following the same method as used above however, this time you will use a sanitizing solution. Apply sanitizing solution with a spray bottle. With a clean rag wipe down the entire interior surface of the bin as well as the baffle, thumb screws and scoop. Thoroughly flush the interior of the bin as well as the other parts that were sanitized with fresh water until all traces of the sanitizer is removed. The outside of your bin should be wiped down at least weekly. While this part of the bin won’t touch the ice, it’s important to keep it clean. Simply apply a mild soap solution and wipe the entire exterior surface. Cleaning commercial ice machine condenser coils is essential preventive maintenance also. Dirty coils shorten the life of the compressor and reduce ice production. Eventually a safety will cut the machine off to prevent further damage. The coils can be vacuumed, blown out with CO2 or compressed air or brushed. Remember that ice machine condenser coils are usually more fragile than other refrigeration equipment coils. Finally, for maximum filtration efficiency, replace the primary filter cartridge every six months. Globe Announces NEW 2-Gallon electric Counter-top boiling Unit! Globe recently announced a new 2-gallon electric countertop pasta cooker. Made of durable 304 stainless steel, the boiling unit comes with a permanently attached stainless steel boiling pot with a front mounted drain. A heavy-duty nesting bar is located on the control head for easy basket hanging. And, keeping their customers in mind, Globe designed a removable, easy to clean control box and element. Each unit comes with a one-year parts and labor warranty. Swing Up Element: Heating element and control head swing up for easy access and cleaning of holding pot. Electronic Timer: Timer has four adjustable timer presets. Adjust in increments of 5 seconds up to 15 minutes. Front Pot Drain: Easily accessed pot drain located on the front of the pasta cooker for easy removal of water. Adjustable Feet: Four (4) non-skid feet prevent the unit from sliding on the counter; feet are adjustable for leveling. Manual Reset: Easily accessed manual reset button located on the back of the control head. Mesh Basket: Twin (2) fine mesh baskets included. Insulated handles for easy gripping and operator protection. For more information, click on our website today! Catering Beginner? 3 Tips to Get You Started! Thinking about starting your own catering business? The wedding and events industry can be very lucrative, but before you start handing out your business cards or promoting your business online, we’ve listed the top three aspects that new caterers should never miss. There is no better way to learn, than actually doing the task. If you’re interested in catering, you need the practical, real-world experience to successfully launch and maintain your business. 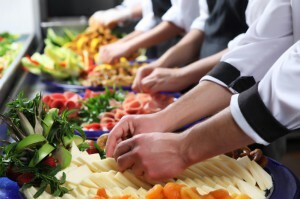 Catering is no joke – it requires passion and stamina to work the long hours and big events. Getting some hands on experience will prepare you with the tools you need to move forward. You’ll also get insight on market trends and other major catering firms, allowing you to build your business to meet the needs of your customers. What are the most important items to get you up and running? 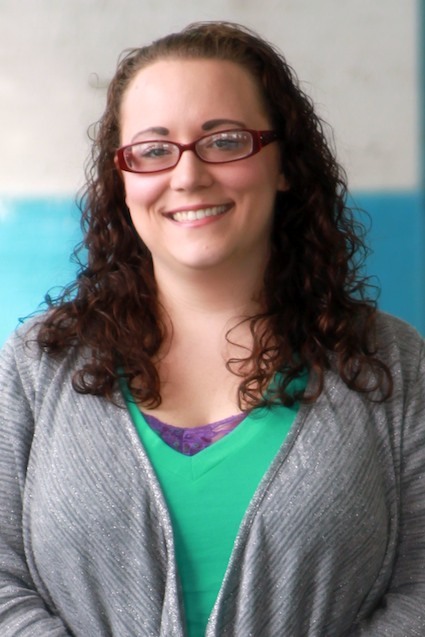 First you need to apply for and obtain a business license. Secondly, you’ll need approval from the department of health, certifying your facility. If you plan to start out of your home, contact your local health department. There are various zoning requirements and safety codes that are specific to each state. Also keep in mind that some states do not consider a home as a foodservice facility. Do your homework and be prepared to make some costly renovations. Once the business end is covered, you’ll need to invest in professional catering equipment. That’s where Burkett Restaurant Equipment comes in! Commercial restaurant equipment and catering supplies streamline your operations and make every event flow smoothly. From serving utensils to storage pans, we carry all of the essentials for your new business. A little Business 101: In order to have a successful start-up, you’ll need a strong customer base to boost profitability. Social media is a great way to get your name out there and to have real-time interaction with potential customers. Sign up for twitter, set up a Facebook page, and monitor sites like Yelp for customer reviews. Every business owner can set up a free account on Yelp to post photos and message your customers. Don’t forget print advertising if it’s in your budget. You might consider flyers and advertisements in your local paper and magazines. Finally, develop valuable relationships with other event industry vendors such as florists, bands, event planners and organizers. This network of businesses can help refer customers to your catering business, and vice versa. Most importantly, successful caterers have three things as their strongest attributes: Talent, Flexibility and Organization. Focus on the food. Be a savvy business person. Plan your events down to the last detail, but be ready to accommodate any last-minute changes. The rest, including your customers, will follow. Mother’s Day is right around the corner and you know what that means? Food! My brother, sister and I celebrate Mother’s Day with our respective families, and then we head over to our parent’s house to celebrate our mom. We literally feast the entire day. I couldn’t ask for a better way to celebrate being a mom. Scout out recipes. My family loves brunch so I love to Pin recipes that we haven’t tried or start digging through my cookbooks in advance. I like to offer something sweet, and salty, and tater tots…with my family there is always tater tots. 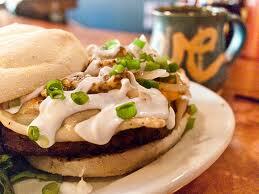 Check out Burkett’s Pinterest Board for weekend breakfast ideas. Also, I’ve included two recipes that will be part of my Mother’s Day brunch this year at the bottom of this post. Plan your menu. Once you’ve bookmarked, dog-eared, and pinned all the delicious recipes you can find, pick 3-4 options you want to make. I like cooking, but my sister prefers her kids cook for her. There are plenty of meals that are easy for kids to help make. Add one or two to your menu. Develop a meal prep timeline. There is nothing worse than not being able to enjoy yourself during a party or gathering because you’re stuck in the kitchen. Develop a plan of attack and start getting tasks out of the way a couple of days ahead. Serving drinks? Make the mix the day before. Sausage patties? They can be frozen one or two days ahead. Baking a cake? Store it unfrosted in an airtight container for up to 24 hours. Get yourself organized so you can enjoy the day! Ready to start shopping? Get to the grocery and pick up the necessary ingredients. Ensure you have the appropriate kitchen supplies as well. Burkett Restaurant Equipment carries all the baking supplies, catering equipment and cookware you could ever need. Now get your mother some flowers and get to work! As mentioned above, here are two recipes from my Mother’s Day brunch this year. Migas con huevos is a delightful and simple Tex-Mex breakfast made of scrambled eggs and tortilla strips. Don’t be intimidated by this list of ingredients. I like mine chock full of veggies, but you can tweak it to meet your preferences. Heat oil in a large skillet over medium-high heat. Add onions and cook until lightly browned. Add pepper, green onions, and jalapeño and continue to cook until softened, 2-3 minutes. Meanwhile, place the eggs in a large bowl and whisk until smooth. Lower the heat to medium-low, add the eggs and stir to incorporate. Add tortilla chips and gently stir breaking up the eggs to create a scramble. Season with salt, sprinkle with cheese, and serve. I found this recipe from Martha Stewart here. Preheat oven to 350 degrees. Whisk flour, baking soda, and salt in a medium bowl. Put butter and brown and granulated sugars into mixer bowl; mix on medium until pale and fluffy. Mix in vanilla, eggs, and yolks. Reduce speed to low. Add flour mixture in 2 batches, alternating with the cream. Stir in chocolate chips. For each of the 5 layers, drop 1 level cup batter onto center of a baking sheet lined with parchment (keep unbaked dough refrigerated). Using a small offset spatula, spread into an 8-inch circle. Bake until edges are pale golden brown, about 12 minutes. Remove from oven. Use offset spatula to reshape circle. Return to oven; bake until edges are golden brown, 8 to 10 minutes more. Transfer to wire rack; let cool. Can be stored airtight up to 1 day. Mix cream cheese and confectioners’ sugar in clean mixer bowl on medium-high speed until pale and fluffy. Spread onto 4 cookies. Stack cookies, placing unfrosted cookie on top. Refrigerate until frosting is set, at least 20 minutes or up to 4 hours. Serve at room temperature. 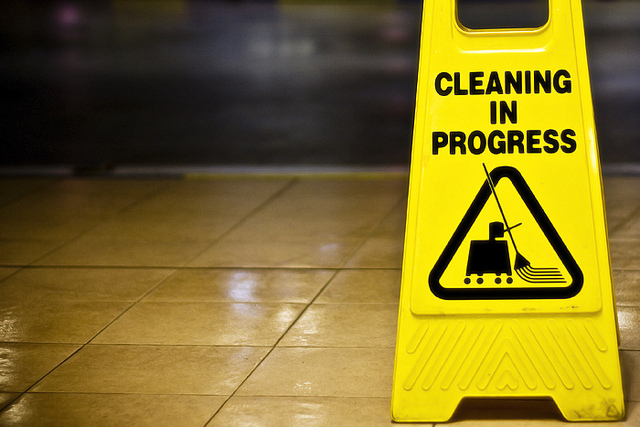 Keeping your commercial restaurant equipment cleaned and properly maintained not only ensures you’re getting peak performance; it reduces the need for costly repairs. Commercial ranges are easily the most important piece of restaurant equipment in your kitchen. Below are some tips for keeping yours cleaned and well-maintained. Spills happen. Although you can’t always clean the range as spills occur, the surface and other exterior components of the range should be wiped away as the spill happen. 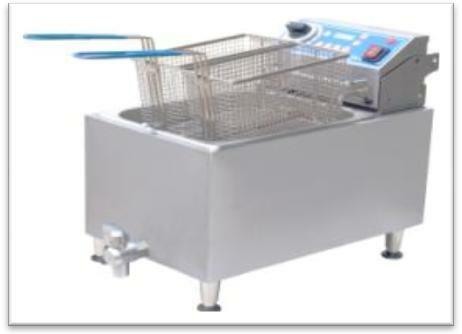 Use a damp cloth or sponge as soon as possible so that the food does not become hardened onto the surface of the equipment. We all know once a spill has become cooked on, it’s is much harder to clean at the end of the day. When all of your cooking is completed for the day, remove the drawers, trays and chutes that collect grease and crumbs on the range. Whether you’re using a gas or electric stove, make sure they are completely clean and dry before replacing them. Clean around the pilot areas and the burners. Food and spills that have fallen into this area could ignite and cause damage to the burner area. For stuck on grease or food, simply soak your drawers and trays in warm soapy water. In addition to the daily cleanings, the stainless steel surfaces should receive special attention. For everyday grease and grime, a mixture of soap and water may be used on the surface. 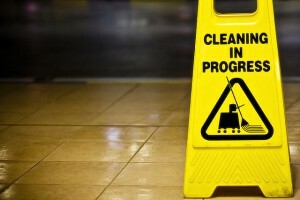 In cases where grease and food have been cooked onto the surface, a more thorough cleaning is required. Apply a commercial-grade degreaser to a damp sponge or cloth and rub on the surface in the direction of the polishing lines on the metal. Doing this rather than cleaning in circular motions will avoid dulling your range’s surface. For the really stubborn spills, consider using stainless steel scouring pads – make sure you’re not using ordinary steel wool it will leave particles on the surface that could cause it to rust. After cleaning, completely dry the surface. Check the hood attached to the range at least twice a year. Just as important as cleaning the surface of the range, proper cleaning and maintenance of the ventilation system ensures a safer environment for the kitchen staff. A few months ago, I found a natural gas leak in my basement. While I watched my local gas company pull out and test my appliances and various gas lines in and around my house, I realized I could have taken some preventative measures. Because not all leaks are large enough to be detected by smell, it’s important to periodically test your restaurant equipment that is fueled by natural gas. The two most common ways to test for a leak is through a bubble test and using an electronic leak detector. Bubble tests can be easily performed with a simple mixture of soap and water. You can also buy commercially prepared test solutions. These solutions can be more reliable since they’re designed to stick to your pipes and valves for easier detection. To use them, simply brush or spray the solution on the pipes, fittings and valves. If you have a gas leak, the solution will bubble at the site of the leak. An inexpensive electronic leak detector can be found at any hardware store. Even the tiniest leak will set off the audio alarms. They are simple to use, often just require batteries for operation. Prior to beginning any test, turn off the gas at the shut-off valve and then burn off any gas remaining in the stove. Start by testing the flex pipe that connects your range to the cut-off valve. Keep in mind that older ranges are more prone to flex pipe leaks. Also, thoroughly check the cut-off valve itself. Check all the individual control valves for the top burners, oven and broiler. Check the oven/broiler’s thermostatically controlled valve and all the internal pipe connections. Finally, check the pilot light connections if your range has the older pilot light systems. If the leak is coming from the cut-off valve itself or coming from around the valve’s shaft, call in a professional to replace the valve. Replacing a leaking flex pipe, burner-control valves, oven thermostatic control valve or internal piping can be done easily. Contact your range manufacturer for parts and instructions. Burkett Restaurant Equipment houses owner’s manuals on our website.